Change the Change: Rebuild the GOP: A recipe for change: How can the GOP rebuild their image and win elections? A recipe for change: How can the GOP rebuild their image and win elections? Hello and welcome to my new blog. This blog is dedicated to the analysis of the convoluted task that the Republican Party faces in rebuilding their party in order to win elections. The 2006 midterm elections overwhelmingly demonstrated that Americans are tired of Republicans and the Democrats took control of the House of Representatives and the Senate. The 2008 general election reaffirmed the sentiment that the American electorate is willing to give Democrats the chance to implement policies that will have a positive effect on issues pertaining to the country. The 2006 and 2008 elections made one thing very clear: Republicans must do something to show the electorate that they can be a positive force for the country. The image of the Republican Party is distorted and it is going to take drastic measures to realign that image. This blog will offer my ideas on what the Republican Party must do to enhance their image an d reclaim majorities in the House and Senate and begin winning elections. I intend to produce several posts a week that will focus on issues such as: Who will emerge as the new leaders of the GOP? 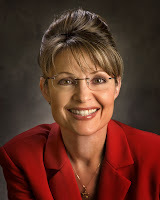 Do Republicans like Governor Sarah Palin and can she be elected? What major platform issues should the Republicans focus on? Is President Obama performing well, and should the Republican attack his policies and decisions? And many more topics that may arise in this ever changing political climate. Please check back often and post as many comments as you would like. I am open to criticism from Liberal view points and I would love suggestions for future post topics. Hey, I like your opening and your proposed questions. I absolutely love your tic tac toe of obama and cain. Ok, so I'm ready for you to convince of the Republican way. As far as Palin goes, Tina Fey is hotter and personally I think she should run for president. FEY 2012!!!! Hey, good job I really like your blog... even though I am a liberal I have to admit that you have done a good job with the cartoons and the text.